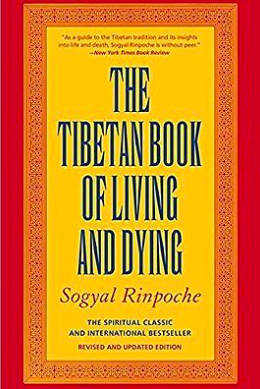 This week’s post is based on a book that I am currently reading: The Tibetan Book of Living & Dying, by Sogyal Rinpoche. It is a fantastic read and not the least bit depressing, despite the fact that it is meant to prepare us for the unknown. The chapter I am on now looks at dream states and how the phases we go through while we sleep are similar to the soul's journey when we cross over. In the Buddhist worldview, the transitional period that comes in the moments after we die (referred to as a bardo) presents a unique chance to pierce the illusions of the mind and become enlightened. Unfortunately, it will also be a new experience for most of us. Even if you believe in reincarnation, very few remember going through that experience. I know I have no recollecting of being born, or of dying. So how would we prepare for such an event? And how can we be sure that our state of mind will be "with it" enough that we will be conscious of what is going on; that we won't be scared, confused or in a daze? If that moment is our best chance at breaking free from Samsara - the endless cycle of death and rebirth - what can we do about it? I do not have a complete answer to this question, but I will come back to you as I continue reading. The author tells us that our dream states are similar enough to the bardos that we can practice mindfulness while we sleep to prepare for the unknown. When we are just dozing off. When we are sleep but haven't begun dreaming. When we are actively dreaming. When we begin to wake up. The biggest opportunity to prepare for the bardos is when we are asleep but not yet dreaming. Personally, I've never been self-aware at that stage but I imagine that adopting a daily mindfulness or meditation practice could help us become conscious in our sleep, though I am not sure how it would come about. The book hints at something called sleep yoga but has yet to explain what it is. A quick aside - if you'd like to remember your dreams, that last phase when we are coming out of sleep is the best time to remember them. We can take advantage of this by setting our alarm 10 minutes before we need to get up and jotting down our dreams. Just be sure to set another alarm in case you fall asleep again. Try it out for yourself! Mindfulness can also help us with lucid dreaming; when we are aware that a dream is a dream and we can then decide to fly or to walk through walls, etc. The theory is that by becoming aware of our thoughts during our waking hours and shining a light on the unconscious, including ideas, fears and scenarios that it may fabricate, our unconscious mind begins to lose its grip on our dreams. When we realize that a dream is a dream, we can take control of the dream and create our own adventure. 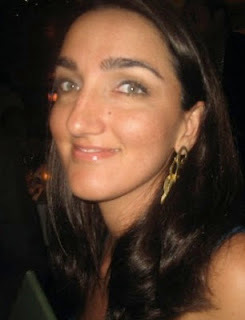 It is meant to be fun and while I have not tried it for myself, I would certainly love to know how it feels. On another note, if we know that a dream is a dream, does that mean we could also do away with the fiction and see what is actually real? Have you ever though that life is the dream, and that when we sleep, we wake up? I still have a lot to learn about consciousness, but I have a hunch that lucid dreaming and meditation can help us disconnect from the matrix and see things clearly. Maybe that is what enlightenment is about; seeing things for what they really are. This is very much a student's "diary entry" as I am just beginning to explore these topics. Please get in touch if you have read this wonderful book or if you have studied lucid dreaming, consciousness, or Buddhism for yourself. And stay tuned for part two in a few weeks as I continue to read The Tibetan Book of Living & Dying. Hopefully we will have some answers soon. 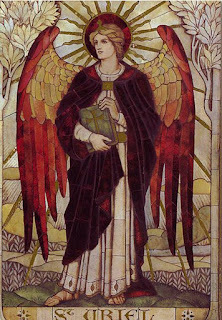 For now, ask your guardian angel to help you fall asleep tonight with a bit of consciousness. And set your alarm clock a little bit earlier than usual so that you can start to become aware of your dreams.